Beautiful and spacious bedroom is interesting is the fact that it has two windows, it has a zonal division with arches, and it has access to the bathroom. Also in the room is equipped with a place to work. 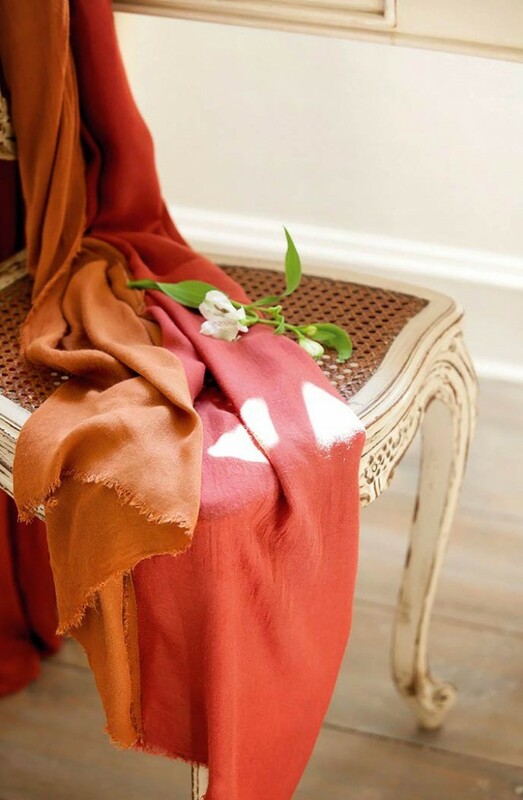 Many beautiful decorative elements show us the beauty of the interior, and perfect color combinations and scales and speak about harmony in the design of this room. 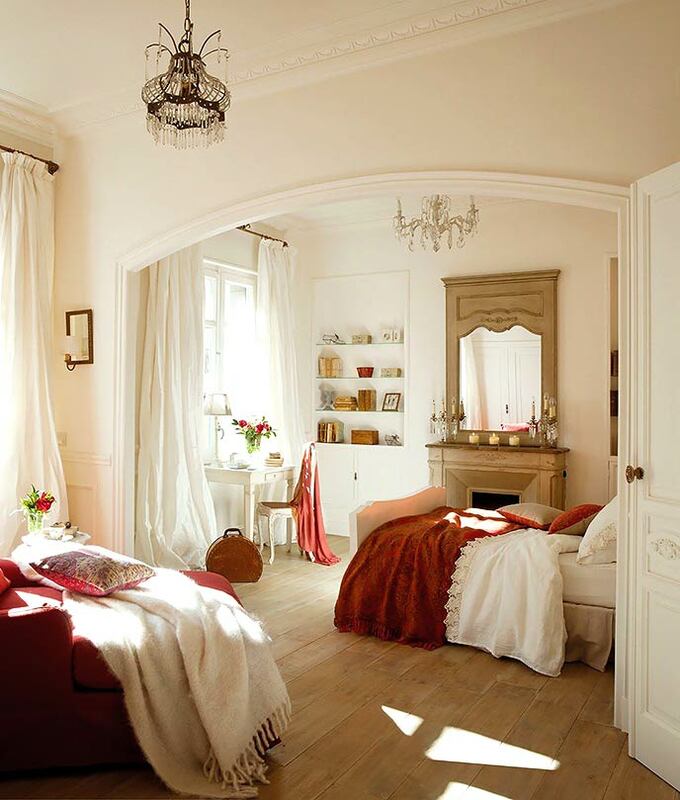 Bright maroon blankets stress conditions in the room, because it lead quiet pastel tones. 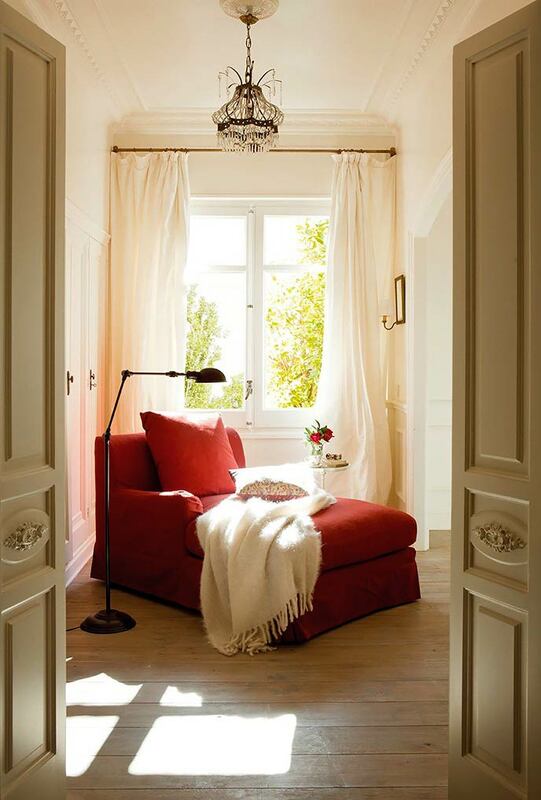 Bright red armchair for reading, which stands at the window particularly in soft colors. In this case, upholstery chairs are beautiful interior detail, it was she who made it interesting. White blanket on the bright chair shifts the focus and makes the whole situation in a new way to play. 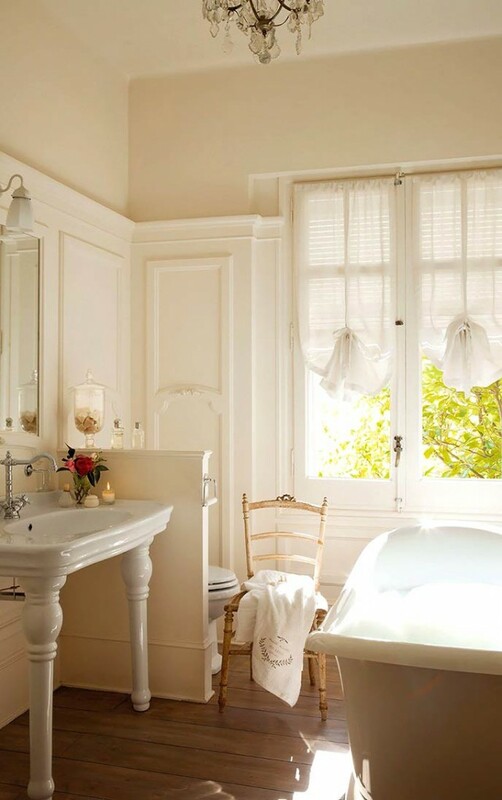 The bedroom reigns charming decor and furniture, made in the old style of its highlights. 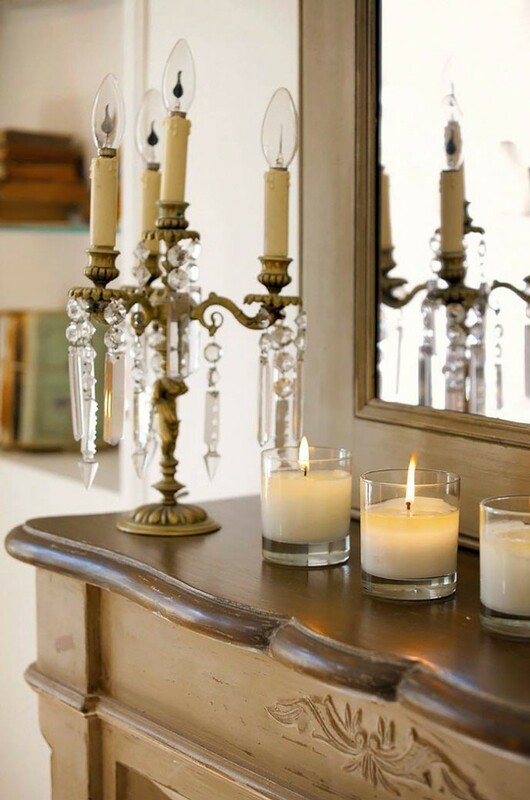 Comfortable design elements, such as a lamp, in the form of a candlestick, a mirror in an old frame, designed to support the aristocratic motives. 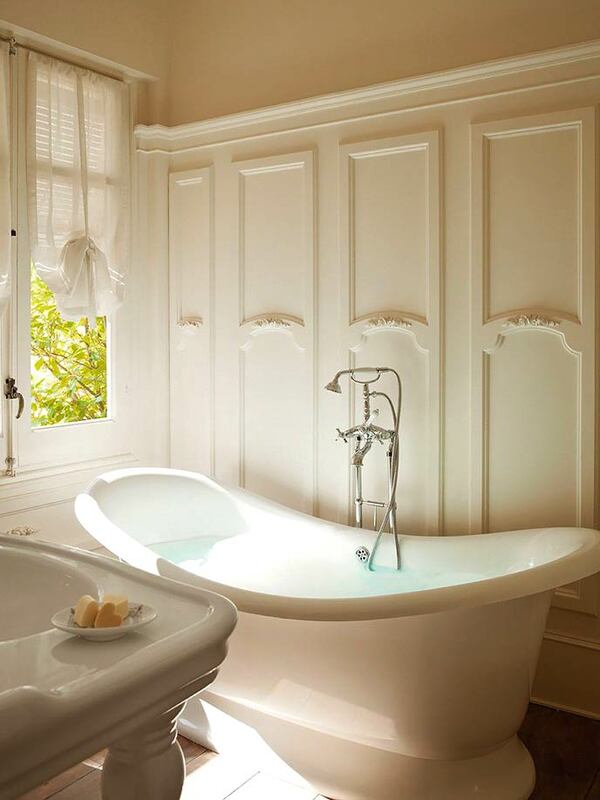 A white tub on legs looks spectacular in the room which is always lots of light. Not to hide such beauty, decided to install a bathroom in the middle of the room, near the window. 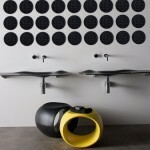 Wash basin also has an interesting shape – it is done in a console on two legs. 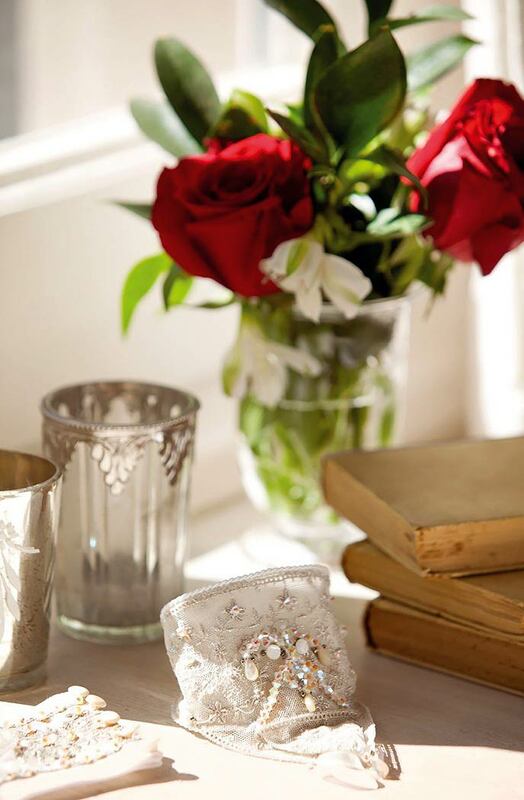 Atmosphere give fresh flowers in vases. 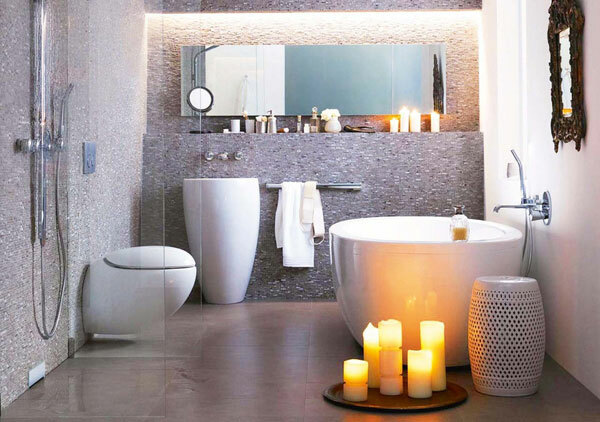 They complement the sophisticated style and the interior is filled with life in any weather.